Hi Everyone! I hope you had a nice weekend. We spent time with family which is always great. While surfing the web I came across a wonderful Easter basket I just had to make. It is from one of my favorite digital artists, Saturated Canary. I followed the YouTube instructions and it only required a few supplies to make. My camera! Can you see it? 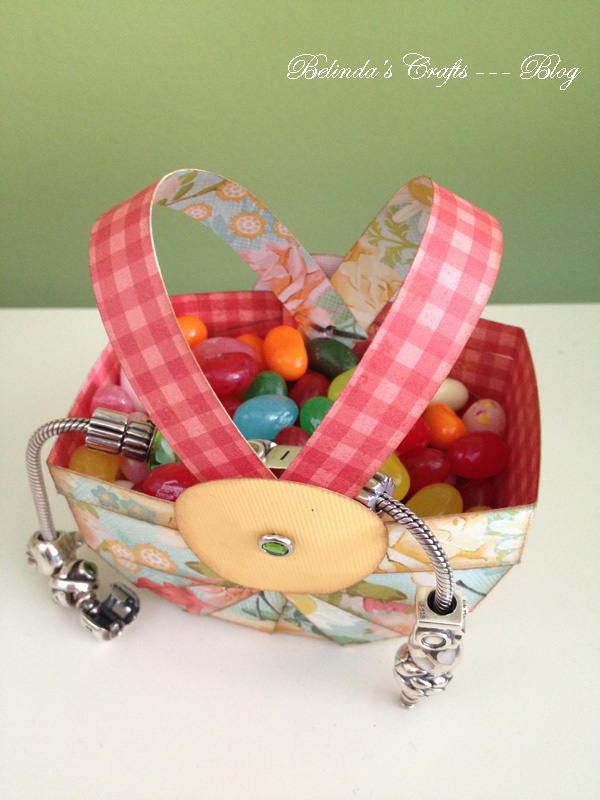 I ended up making this one for me and it is perfect to hold my jelly beans. I also thought I would show you my new Pandora bead I received for Easter – a camera. Can you see it? It is so cute and it is so me. I am always with camera. Well I hope you try making these baskets. 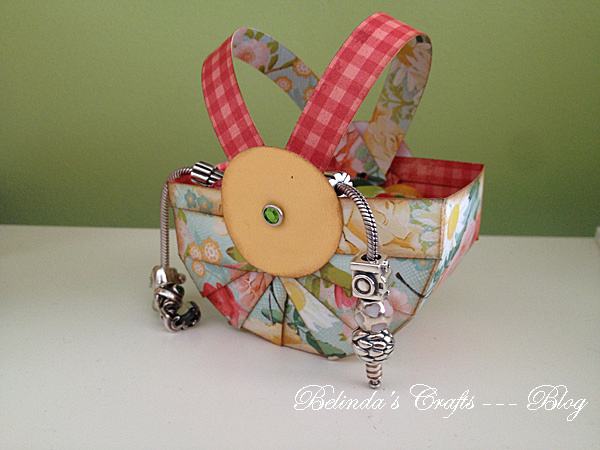 They can be for any occasion and they are super easy! to make.